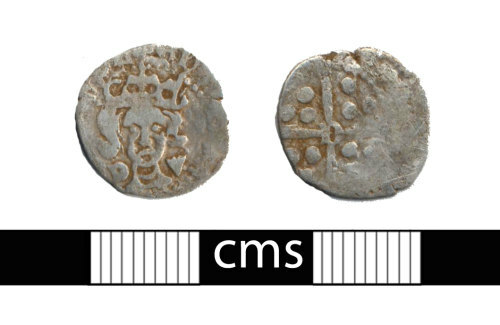 A heavily clipped silver penny of Edward IV's second reign, dating from AD 1471-1483. Mint of Durham, produced under Bishop William Dudley. North 1666.